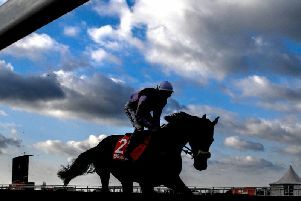 Another Angel can extend his love affair with Newcastle by taking the Betway Casino Handicap at the Gosforth Park track. Anthony Brittain’s charge is a five-time winner over this five-furlong course, and rarely turns in a bad performance at the venue, so he can be relied upon to put his best foot forward. The five-year-old beat the re-opposing Pea Shooter when getting his head in front at the start of last month, and he has lost little in defeat in two subsequent efforts. Beaten a length in third at Wolverhampton, then just three-quarters of a length in the same place at this track, Another Angel lines up off an unchanged mark of 76 here and should be in the shake-up again. 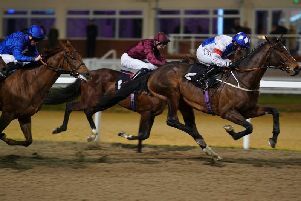 Seeusoon seemed to improve for a step up to a mile and a half on his most recent outing in January, and should not be deserted in the Betway Heed Your Hunch Maiden Stakes. Counting a Geoffrey Freer winner among his half-siblings, Seeusoon looks bred to excel over just this kind of trip - and while he was caught napping when fourth last time, he should be sharper for the experience here. Kodi Dream should appreciate switching back to Tapeta in the Ladbrokes Home Of The Odds Boost Handicap after failing to make any real impression on Southwell’s Fibresand on his latest outing. He was a neck winner at this track at the beginning of February before turning out again in Nottinghamshire just two days later, where he found little for pressure. He was not beaten far, though, and can bounce back for Roger Fell. Lingfield is a bit light on numbers, but Air Force Amy can seize the opportunity to gain a first career success in the Ladbrokes Fillies’ Novice Median Auction Stakes. Mick Channon’s runner was placed on each of her three juvenile starts - coming closest when third on her debut at Ascot in a race that has worked out quite well, with the first two home featuring in Group race company. Air Force Amy takes a big hike in distance here, but certainly has a good slice of stamina in her pedigree. Popular veteran Le Reve recently returned to winning form, and he can build on that in the Grand Military Gold Cup at Sandown. The 11-year-old had gone three years without a win until landing the Surrey National at Lingfield last month, overcoming a mistake at the last to hold on by a length and three-quarters. He has previously triumphed around Sandown and should be capable of another good show. Fin And Game is the choice for Donald McCain in the Team Ethos Handicap Hurdle, while Ostuni can give Paul Nicholls another winner in the Pure Storage Novices’ Handicap Hurdle. He let down favourite backers when only second at Wincanton last week, but softer ground should help his cause. Peppay Le Pugh can make the switch back to bigger obstacles pay dividends in the Vichai Srivandhanaprabhah Handicap Chase at Leicester. A winner over hurdles at Doncaster last week, he is equally as adept over fences and arrives here in fine heart. DUNDALK: 5.45 Hee Haw, 6.15 Gatsby Cap, 6.45 Your Pal Tal, 7.15 Closer Now, 7.45 Active Approach, 8.15 Moonmeister, 8.45 Sharjah. LEICESTER: 1.50 Grania O’Malley, 2.20 Peppay Le Pugh, 2.50 Cracking Destiny, 3.25 Jonagold, 4.00 Marinero, 4.30 Houndscourt. LINGFIELD: 2.10 Majestic Moon, 2.40 Holy Tiber, 3.15 Red Stripes, 3.50 Air Force Amy, 4.20 Affluence, 4.55 Sister Of The Sign. NEWCASTLE: 5.20 Seeusoon, 5.55 Firsteen, 6.30 ANOTHER ANGEL (NAP), 7.00 Don’t Be Surprised, 7.30 Kodi Dream, 8.00 Star Cracker. SANDOWN: 2.00 Precious Cargo, 2.30 Percy Street, 3.00 Fin And Game, 3.30 Le Reve, 4.10 Rock On Rocky, 4.45 Ostuni. DOUBLE: Another Angel and Majestic Moon.